Finding exoplanets is hard work. In addition to requiring seriously sophisticated instruments, it also takes teams of committed scientists; people willing to pour over volumes of data to find the evidence of distant worlds. Professor Kipping, an astronomer based at the Harvard-Smithsonian Center for Astrophysics, is one such person. Within the astronomical community, Kipping is best known for his work with exomoons. But his research also extends to the study and characterization of exoplanets, which he pursues with his colleagues at the Cool Worlds Laboratory at Columbia University. And what has interested him most in recent years is finding exoplanets around our Sun’s closest neighbor – Proxima Centauri. Kipping describes himself as a “modeler”, combining novel theoretical modeling with modern statistical data analysis techniques applied to observations. He is also the Principal Investigator (PI) of The Hunt for Exomoons with Kepler (HEK) project and a fellow at the Harvard College Observatory. For the past few years, he and his team have been taking the hunt for exoplanets to the local stellar neighborhood. The inspiration for this search goes back to 2012, when Kipping was at a conference and heard the news about a series of exoplanets being discovery around Kepler 42 (aka. KOI-961). Using data from the Kepler mission, a team from the California Institute of Technology discovered three exoplanets orbiting this red dwarf star, which is located about 126 light years from Earth. 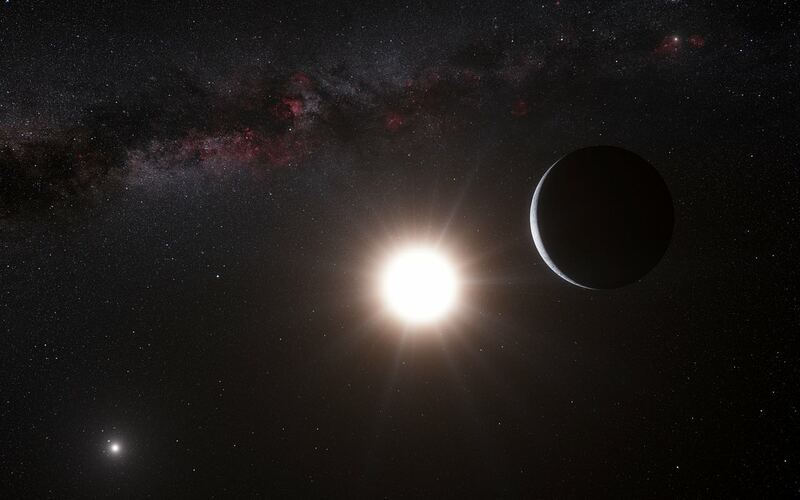 At the time, Kipping recalled how the author of the study – Professor Philip Steven Muirhead, now an associate professor at the Institute for Astrophysical Research at Boston University – commented that this star system looked a lot like our nearest red dwarf stars – Barnard’s Star and Proxima Centauri. In addition, Kepler 42’s planets were easy to spot, given that their proximity to the star meant that they completed an orbital period in about a day. Since they pass regularly in front of their star, the odds of catching sight of them using the Transit Method were good. In essence, Kipping realized that if such a planetary system also existed around Proxima Centauri, a star with similar characteristics, then they would very easy to detect. After that, he and his team began attempting to book time with a space telescope. And by 2014-15, they had been given permission to use the Canadian Space Agency’s Microvariability and Oscillation of Stars (MOST) satellite. Roughly the same size as a suitcase, the MOST satellite weighs only 54 kg and is equipped with an ultra-high definition telescope that measures just 15 cm in diameter. 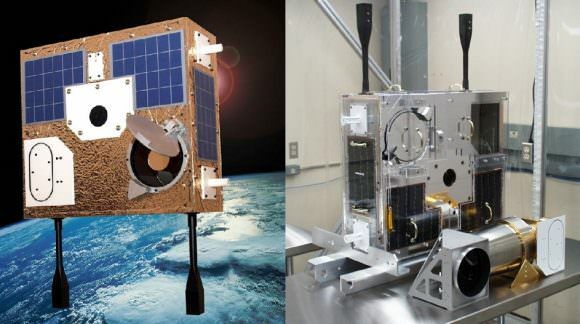 It is the first Canadian scientific satellite to be placed in orbit in 33 years, and was the first space telescope to be entirely designed and built in Canada. Despite its size, MOST is ten times more sensitive than the Hubble Space Telescope. In addition, Kipping and his team knew that a mission to look for transiting exoplanets around Proxima Centauri would be too high-risk for something like Hubble. In fact, the CSA initially rejected their applications for this same reason. By 2014 and 2015, they secured permission to use MOST and observed Proxima Centauri twice – in May of both years. From this, they acquired a month and half’s-worth of space-based photometry, which they are currently processing to look for transits. As Kipping explained, this was rather challenging, since Proxima Centauri is a very active star – subject to star flares. 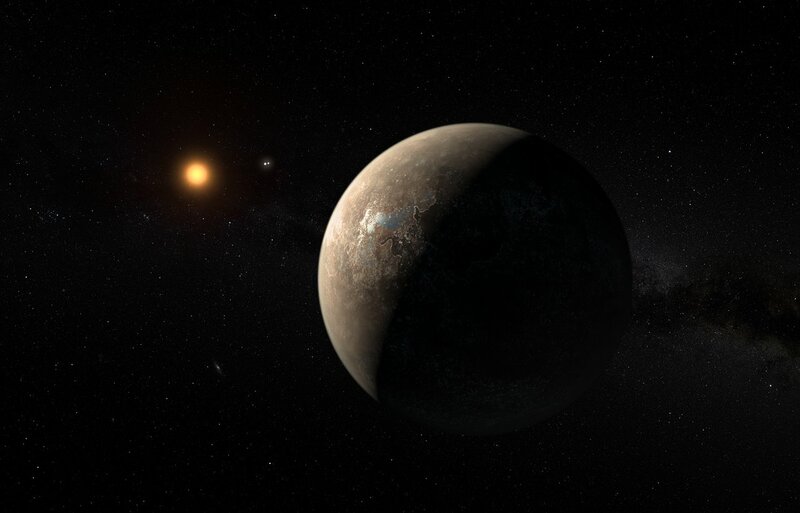 Their efforts to find exoplanets around Proxima Centauri are especially significant in light of the European Southern Observatory’s recent announcement about the discovery of a terrestrial exoplanet within Proxima Centauri’s habitable zone (Proxima b). But compared to the ESO’s Pale Red Dot project, Kipping and his team were relying on different methods. In the coming months and years, Kipping and his team may be called upon to follow up on the success of the ESO’s discovery. Having detected Proxima b using the Radial Velocity method, it now lies to astronomers to confirm the existence of this planet using another detection method. In addition, much can be learned about a planet through the Transit Method, which would be helpful considering all the things we still don’t know about Proxima b. This includes information about its atmosphere, which the Transit Method is often able to reveal through spectroscopic measurements. This coming September, Kipping will be joining the faculty at Columbia University, where he will continue in his hunt for exoplanets. One can only hope that those he and his colleagues find are also within reach!